Guest Post: Disarming Yourself in Corporate Fundraising – Part 1: WHY? | What Gives??? 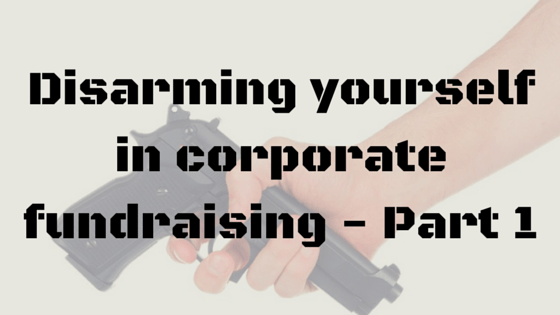 Guest Post: Disarming Yourself in Corporate Fundraising – Part 1: WHY? Maeve and I talked a lot about the commonalities between corporate fundraising and individual giving and so while this two-part series has a corporate fundraiser in mind, I bet that the major gift fundraiser in each of us will enjoy it too. These two posts are all about the biggest psychological crutch that we use in corporate fundraising. For those of you who follow my blog at The Sponsorship Collective, you know that I believe passionately in a relationship-based approach to corporate fundraising and how using a sponsorship package is a barrier to those relationships. I would (and often do) argue that the sponsorship package is a barrier to good fundraising, so let’s explore why people use proposals, one-pagers, leave-behinds and any other name used to describe the opposite of going to a sponsor visit with nothing in hand. Think about the last time you handed someone a proposal, what did they do? They turned their attention away from you to the package in front of them and you probably tried to talk to them while they did it. Guess what? They absorbed nothing from your proposal or from what you told them and the second you walked out the door, they recycled what you gave them. So you drove, flew, walked all the way to meet your prospect to hand them something you could have e-mailed them? If someone agreed to meet you in person, it’s because they see value in human interaction and want to know who they are considering working with. So why is it that virtually every fundraiser I know brings proposals and one-pagers with them to prospecting meetings? I think something deeper is happening here. I think that we believe if a prospect is reading a proposal and judging it, they aren’t judging us and saying no to us. The proposal then, is not a sales tool but a subtle self-protection tool! If that’s true then that means going to a meeting with nothing in hand forces your prospect to judge you as a person, and you have to describe to them what you want from them. By going with nothing in hand you change the dynamic and make it about people and about relationships. Sound scary? Good! Use that to keep you sharp and make sure you know your stuff! Sometimes Sponsors Ask for One! The proposal is a crutch for both sides of the partnership – the fundraiser feels protected and so does the prospect. Do you want to find out what she told me, and what I’ve learned in my own work? Tune in next week for Part 2: HOW? You know why us corporate fundraisers need to disarm ourselves, so wait a week and I’ll show you how we do it. Chris is a fundraising professional with expertise in cause marketing, sponsorship and corporate social responsibility (CSR). 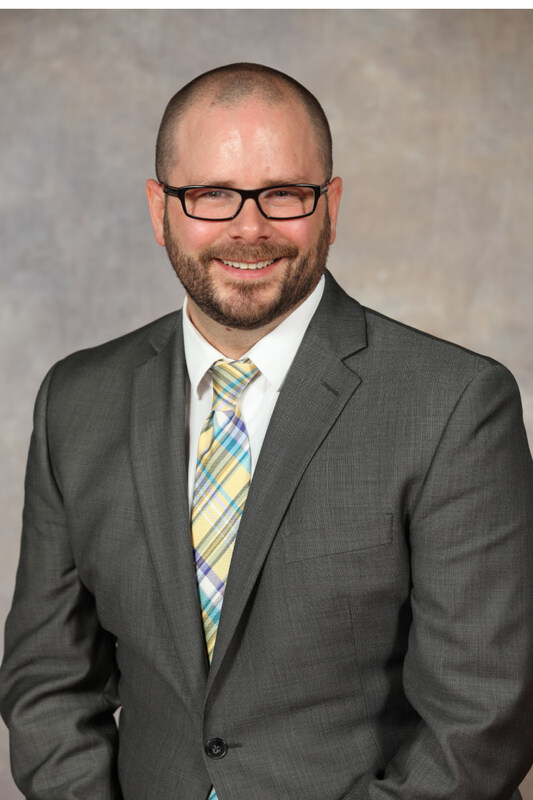 Chris has managed both national and local campaigns and is a board member of the Association of Fundraising Professionals in Ottawa. This entry was posted in Corporate Sponsorship, Guest Blogger and tagged corporate sponsorship, guest blogger, sponsorship by Maeve Strathy. Bookmark the permalink.